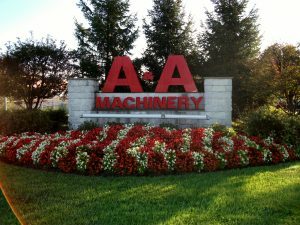 A&A Machinery is an industrial rigging contractor and plant services provider located in Morrisville, Pennsylvania. As an industrial contractor, we provide turn-key machinery moving and rigging services. We handle projects with technical or logistical challenges that a typical moving company cannot handle. As an industrial service provider, we buy and sell your used industrial equipment and machinery and can also provide asset recovery and liquidation services. 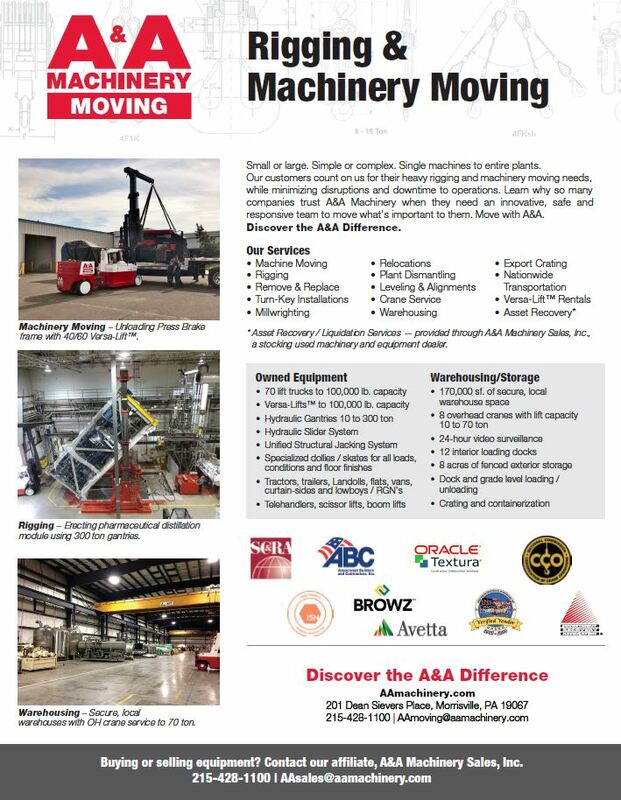 A&A Machinery Moving, Inc. is a full-service industrial machinery moving and rigging contractor. We provide a broad scope of services to our clients from turn-key installations through relocations and removals of single machines to entire process lines and plants. As a single-source industrial contractor, we provide additional value through expert crating & skidding services, machinery transportation, freight-forwarding and equipment warehousing. We service all industries in the Mid-Atlantic region (PA, NJ, MD and DE) and nationally. A&A Machinery Sales, Inc. is a stocking, new and used machinery dealer. We provide professional asset/investment recovery and liquidation services for our clients including machinery auction services. 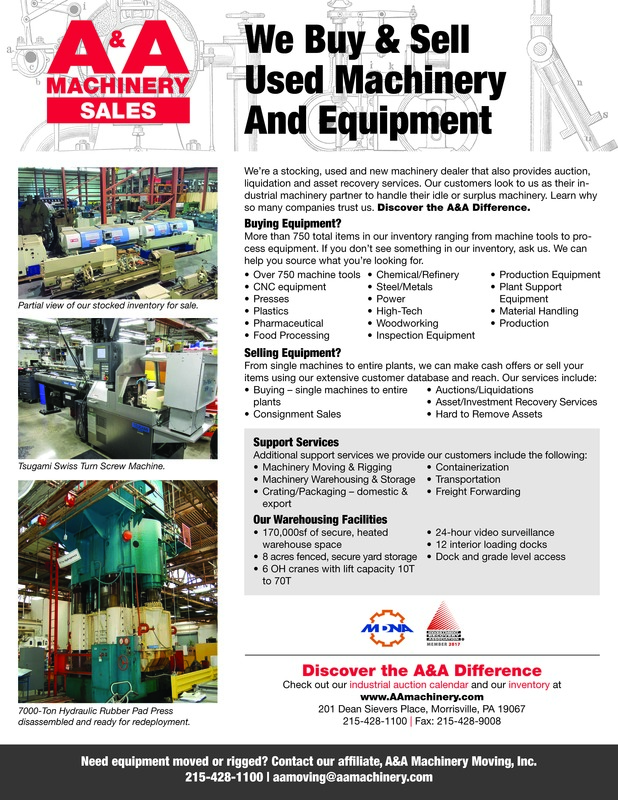 Customers look to us as they industrial machinery partner to handle idle or surplus machinery. Our knowledgeable team has extensive resources and can provide sourcing for both new and used machinery and equipment. We invite you to take a look through our inventory.